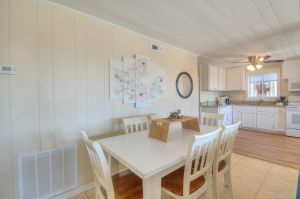 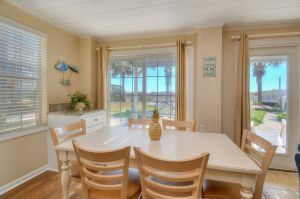 Bright and airy with plenty of room to breathe in that fresh, ocean air, A Pink Paradise is a classic beach house in the Cherry Grove section of North Myrtle Beach, SC that can accommodate a large number of golfers looking for an awesome beach house for your next Myrtle Beach golf package. 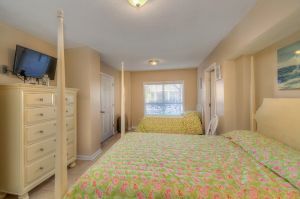 Up to 19 people are welcome at A Pink Paradise where there is 10 bedrooms and six full baths. 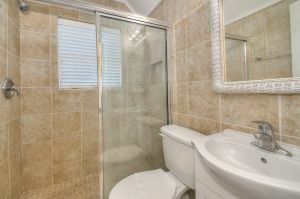 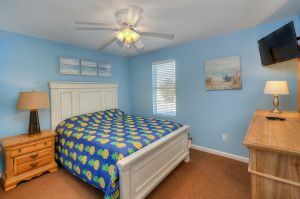 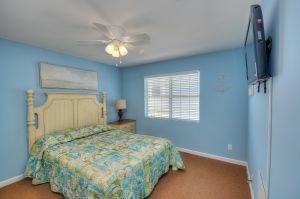 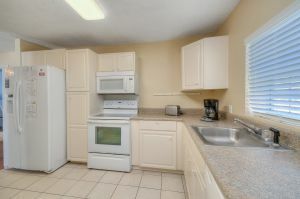 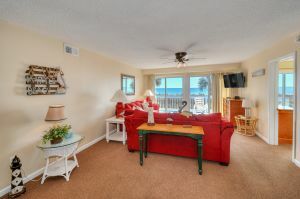 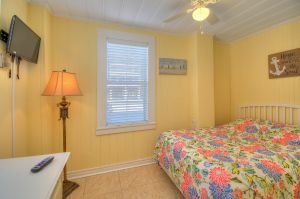 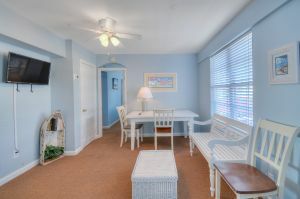 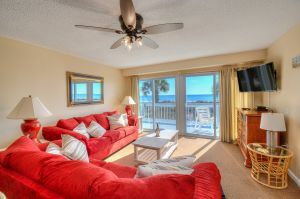 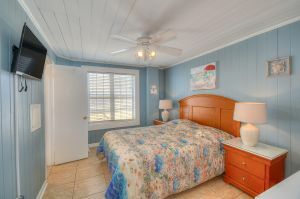 This means plenty of privacy for all those that want to come and enjoy a memorable Myrtle Beach golf vacation. 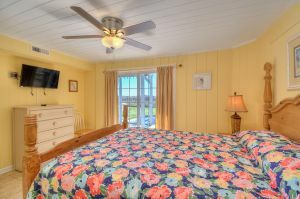 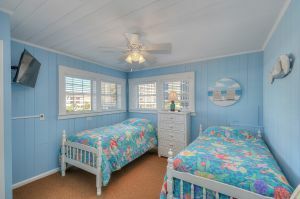 The oceanfront beach rental has a large back deck that overlooks the Atlantic Ocean, a private hot tub that welcomes golfers after a challenging day on the links and a variety of king-, queen- and twin-size beds throughout. 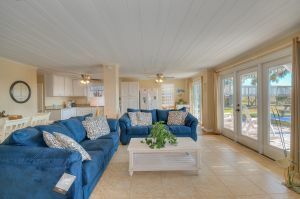 A Pink Paradise has two kitchens and two living rooms to better accommodate your entire golf group and there are nine televisions with DVD players. 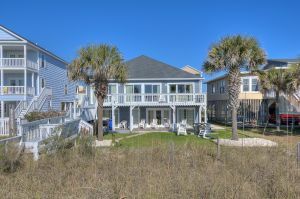 Don't leave anyone behind for your next Myrtle Beach golf package! 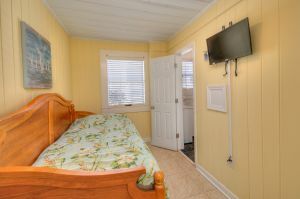 With all the room, you may want to bring your spouse or even the family. 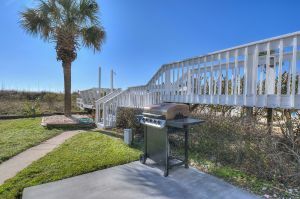 After your day on the links and others enjoying all the attractions along the Myrtle Beach coast, have a cookout with the gas grill for the entire group. 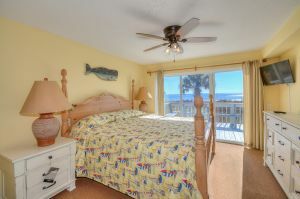 Don't forget to stop by the local seafood shop and pick up the fresh catch of the day! 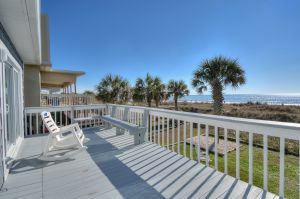 Walk to the beach by following the wooden path over the sand dunes. 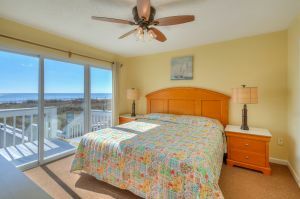 Early morning sunrises before teeing off can be the best way to start your day for your next Myrtle Beach golf package. 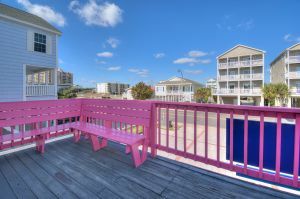 And A Pink Paradise gives you that very opportunity with its oceanfront views. 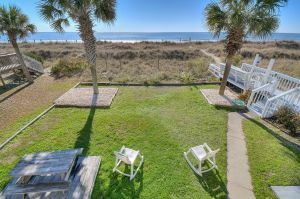 Myrtle Beach golf is a must do when you visit the Grand Strand. 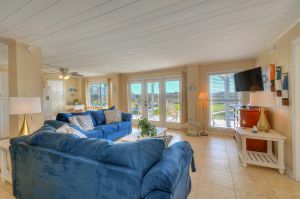 Looking for just a few tee times for some friends - we can help you with that too! 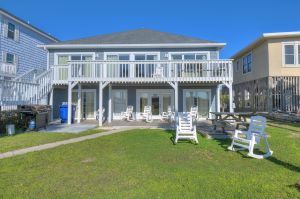 Our specialty is Myrtle Beach golf packages, but when it comes to golf, Myrtle Beach Golf Authority can help you will any of your related needs.